David Cameron's aides have insisted there is no need for cross party talks on MPs' pay. 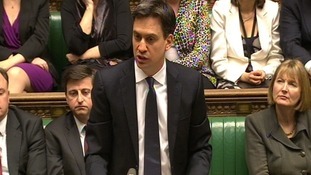 Downing Street was responding to a call from Labour leader Ed Miliband for talks on blocking the proposed 11% pay rise which is expected to be announced later this week. The Prime Minister's advisers insist he has already made clear that the pay rise - which would take MPs' salary to £74,000 - should not be happening at a time of pay restraint in the public sector. The Independent Parliamentary Standards Authority - the watchdog all three parties set up after the MP's expenses scandal - is due to recommend on Thursday that the salary of the UK's 650 MPs should rise by four times the rate of inflation. The timing of Mr Miliband's announcement has raised a few eyebrows. The Labour leader released his statement just as the three party leaders were boarding their flight to South Africa for Nelson Mandela's memorial service tomorrow. It means we will not get a formal response from the other leaders for several hours. But if they are travelling in the same cabin of the aircraft - it is perhaps something they can flesh out over their plane food tonight.